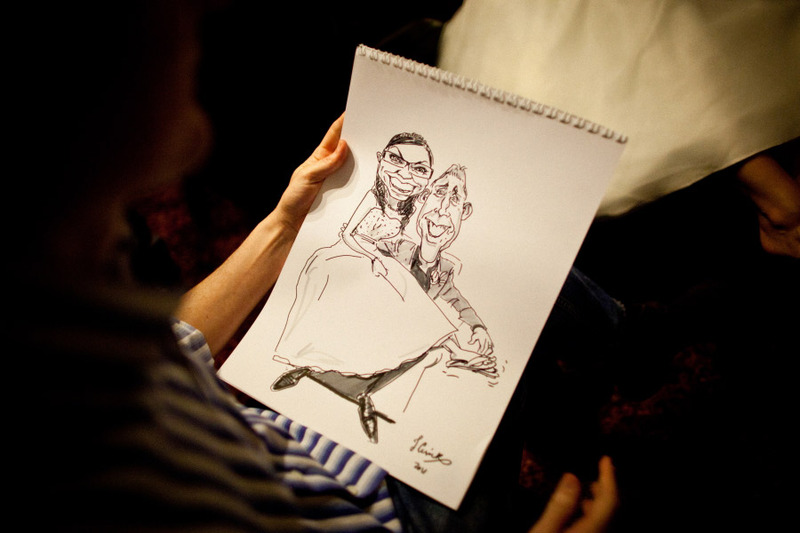 A bride and groom live caricature drawing on A3 paper is a unique momento of the day. This wedding was held in a hotel in Shrewsbury, Shropshire. 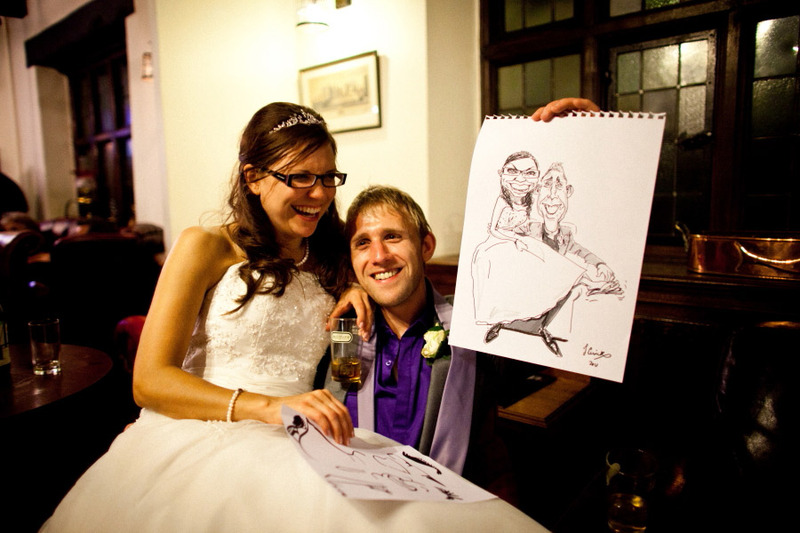 Email your details to find out the price for live caricature at your event in Shrewsbury, Shropshire or West Midlands..